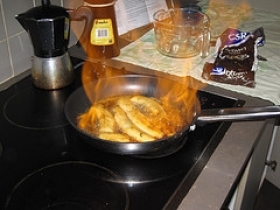 Have you made Cherries Flambe? 1. Place currant jelly in 9 inch skillet or shallow pan. 2. Break up jelly with wooden spoon. Drain cherries, reserve 1/4 cup juice. 3. 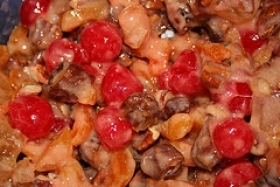 Add drained cherries and 1/4 juice to jelly. 4. Stir using heat between medium and medium low. 5. Heat uncovered until jelly has melted and sauce has come to rolling boil. 6. 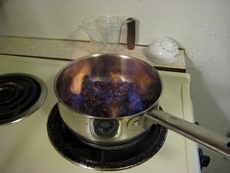 Light brandy with match, pour flaming brandy over cherries and stir.